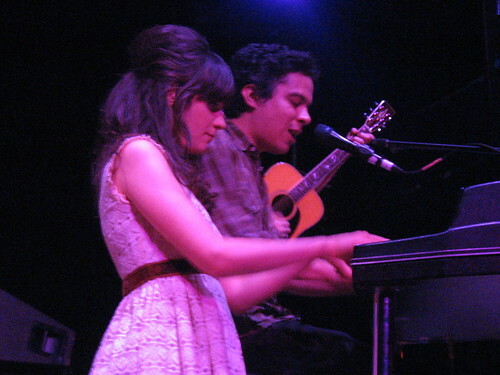 Actress Zooey Deschanel and her buddy, indie guitarist M. Ward, charmed the crowd tonight for a cute 50 minutes with songs from their collaboration, She & Him. 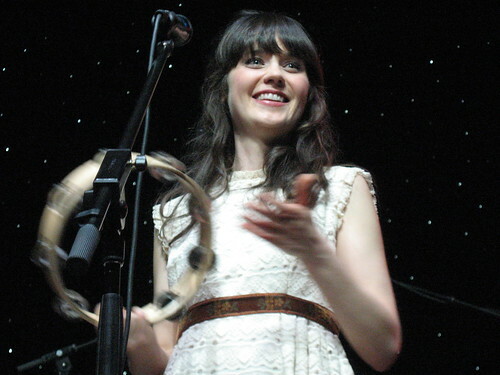 Despite Zooey having lost her speaking voice, she managed to sound virtually flawless while singing and made up for the lack of banter with her winning smile. She did a great job, I thought. 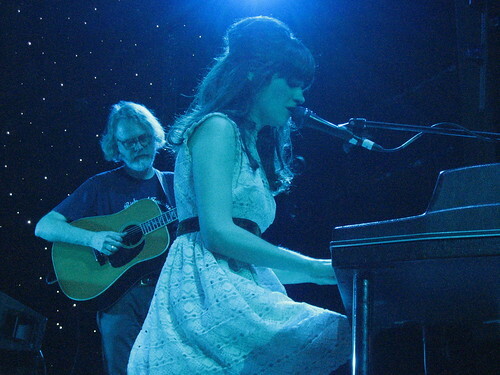 Reminded me a little bit of another actress-turned-singer, Jenny Lewis, but without the sultry. 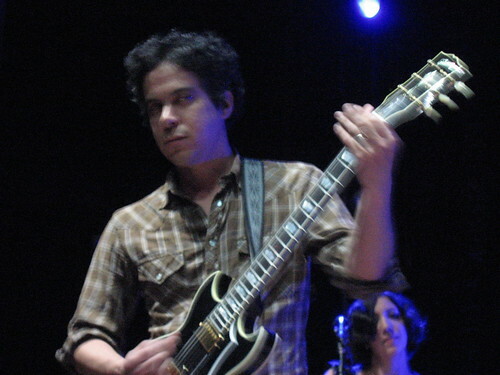 As usual, M. Ward mesmerized us with his guitar work, but perhaps in a more accessible way than via his usual music given the framework of the sunny melodies. Ola Podrida opened. 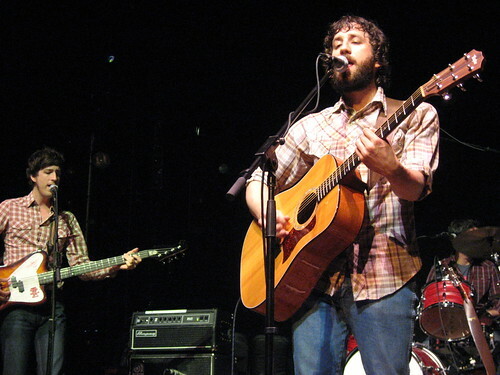 I had caught them once before at Union Hall, in a smaller, more acoustic setting, and was curious how their act would translate to the larger Webster Hall. They did well, but the crowd unfortunately had very little interest in hearing them. Jamie Lidell, the technie-electro knob-twiddler (hehehe), is not normally my cup of tea, but he posted a competition that a friend entered. My fellow Kung Fu Dork Alex Brouwer aka Mista Brouwah worked on a remix with his buddies, mother liQr and Philly, at Alex's shop Mix B Studios this past week under the moniker, No Shame, and even added beats courtesy of the tapping feet of another Kung Fu brotha, Chris Erk aka themoneyfoot. Check out Jamie Lidell's bare vocals to "Little Bit of Feel Good" here, and download the most excellent remix the guys worked on here ("A Little Bit of Feelgood (No Shame remix)" mp3).